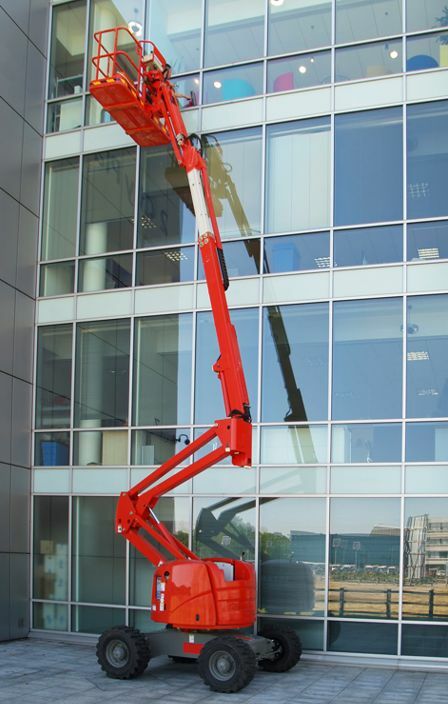 Way More Cleaning Ltd has the ability to clean up to 5 stories. Way More Cleaning Ltd is bonded, insured and WSIB cleared. 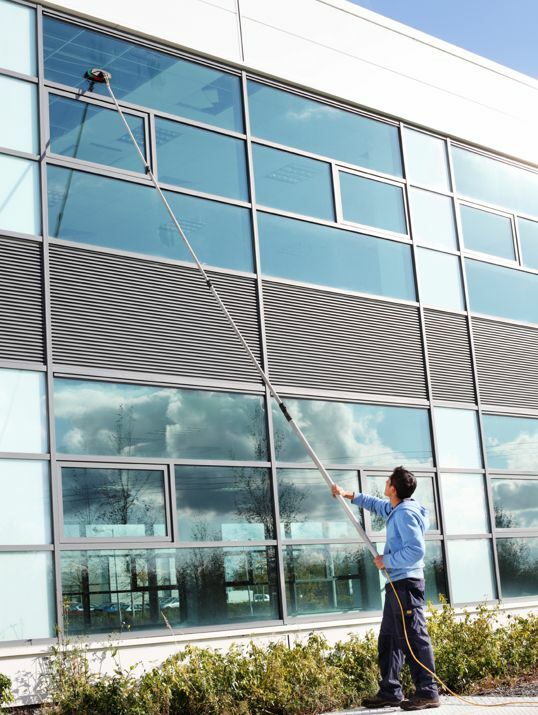 Commercial window cleaning is available on a weekly, bi-weekly, monthly or on an as needed basis. 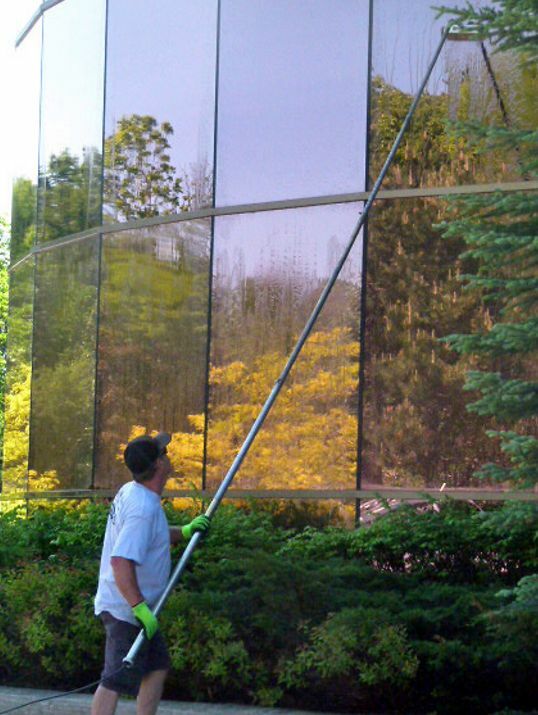 We service many commercial properties within the city of Barrie and the surrounding area. 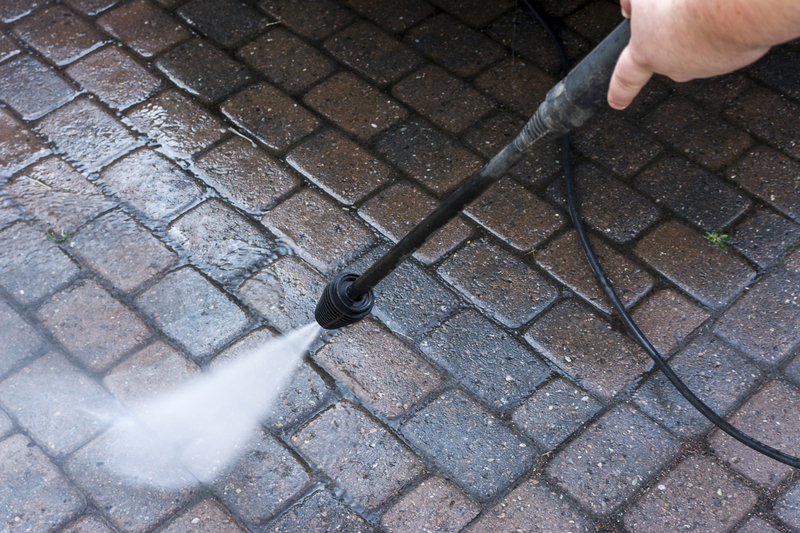 Way More Cleaning Ltd has a self-contained commercial power washing unit. This allows us to be mobile as well as control the pressure and the temperature of the water. Unlike traditional store bought units, we have the knowledge and the ability to control our system. 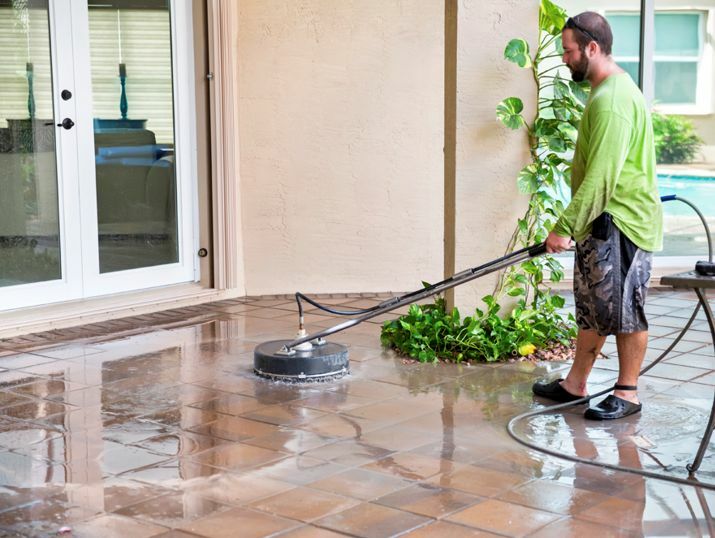 If you have used a power washing system, you are aware that without proper knowledge and control you can leave streaks on your home, deck, concrete etc. Graffiti is an ongoing problem for commercial building owners. Vandalism by graffiti reduces the value and has negative effects on the appearance of your property. Way More Cleaning Ltd removes graffiti paint, from no-painted surfaces. 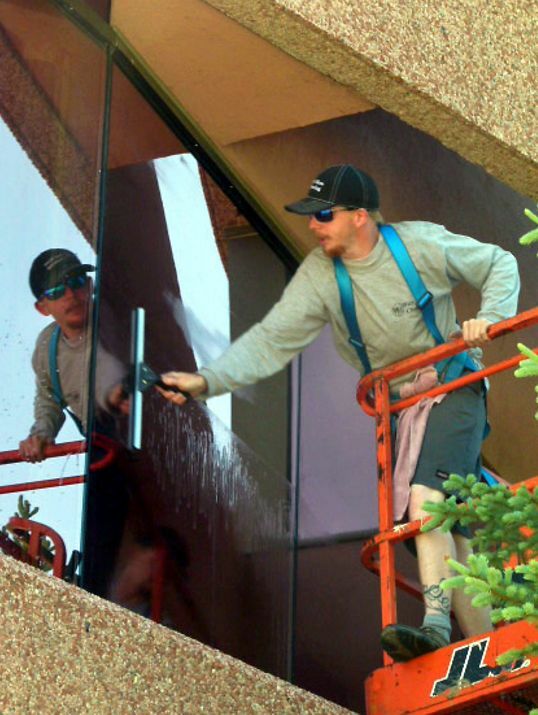 We can successfully remove stickers from windows and paint from signs. 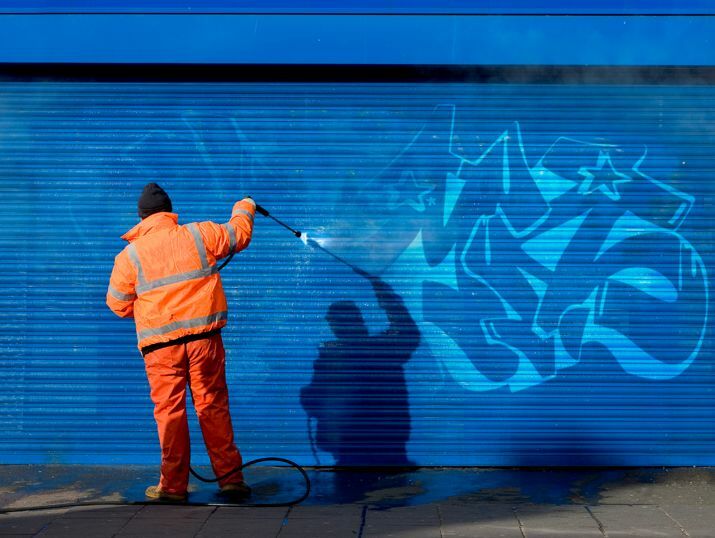 Removing graffiti from your property is essential to deterring vandalism. 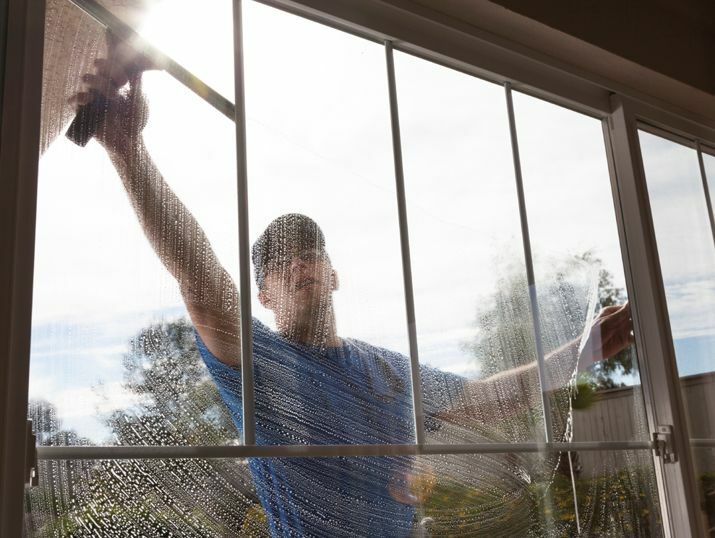 Residential and commercial graffiti removal is available through Way More Cleaning Ltd. We use bio-degradable graffiti removal products when removing graffiti.